At least two people were killed and several others wounded in Memorial Day weekend shootings across Chicago. The shootings, which all took place Saturday afternoon and evening, come just one day after hundreds of anti-violence protests were held across Chicago. The weekend started quiet, with no reported shootings in the city Friday night and into Saturday morning. The weekend’s first shooting, and first fatality, took place around 3:45 p.m. Saturday. Two people were shot when someone fired at them from an alley, police said. A 21-year-old man was shot in the arm and taken to Advocate Christ Medical Center in stable condition. A 31-year-old man suffered a wound to the back and was pronounced dead at John H. Stroger Jr. Hospital of Cook County, police said. A second fatality occurred just after 8 p.m. when a 23-year-old man was shot in the chest. Police said the man was standing on the street when some fired shots at him. He was taken to Illinois Masonic Medical Center in critical condition and was later pronounced dead. Police believe both fatalities may be gang-related. Several other people were wounded in shootings Saturday. Just before 7:30 p.m. a 17-year-old boy was shot in the jaw, police said. The teen’s grandmother told police her grandson came into her home, motioned that he had been shot and collapsed on the floor. The teen was taken in critical condition to Advocate Christ Medical Center, officials said. 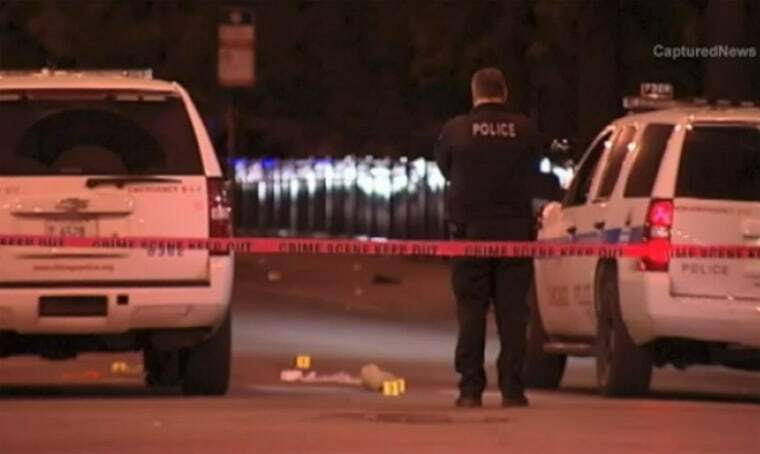 Between 7:45 p.m. and midnight, five men were shot in their legs in four separate incidents. In two different shootings, two other men were struck in the back. All were in stable condition.